The first Zouari Establishment of the group is dedicated to offering its customers the most innovative, performing and competitive products on the market. He chose to bind to the most prestigious brands and to represent the leading companies in their fields of competence. 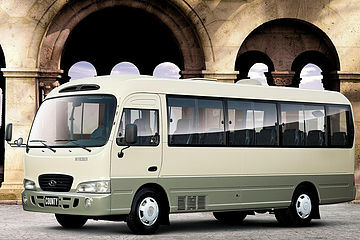 Founded in 1988, Xiamen King Long United Automotive Industry Co., Ltd. ( "King Long") is engaged in the research and development, production and sale of coaches, buses and minivans. 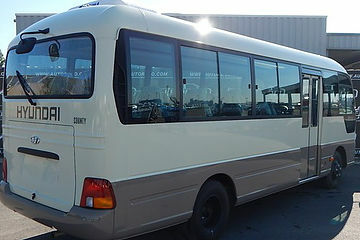 King Long has three production bases such as Xiamen Bus and Coach Production Base, Xiamen Minivan Production Base and Shaoxing City Bus Production Base. These bases cover a total area of ​​800,000 square meters and produce 25,000 buses and coaches annually and 30,000 minivans in lengths from 4.8 meters to 18 meters. 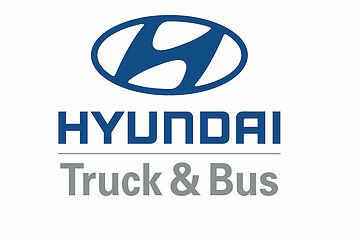 King Long vehicles are widely applied for passenger transport, tourism, groups or organizations, public transport or for special vehicle applications..
King Long has its own R & D institutions and state-approved tests such as the Enterprise Technical Center, the Scientific and Post-doctoral Research Station, and the Low Consumption Testing Center comprising a total of More than 600 elite technical employees in the industry. King Long is the first in its field in terms of power research and business development and technological level of product. Since our inception, King Long has achieved an average annual sales growth of 34%, generating more than 250,000 buses cumulatively. 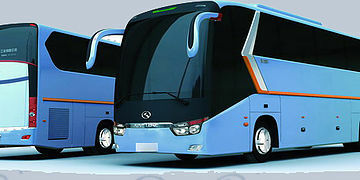 In 2013; King Long (excluding its subsidiaries) sold 32,824 buses of various types with a turnover exceeding 9,081 billion yuan, including an international turnover of more than 2.1 billion yuan. 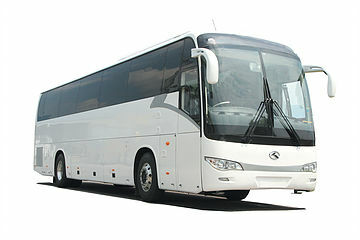 The reputation of King Long is to be considered as National Vehicle. In 2011, the King Long brand value exceeds 10 billion Yuan and King Long ranks among the Top 100 of the most important Chinese brands. 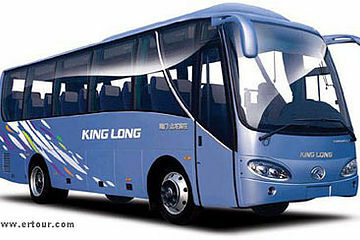 King Long has successfully delivered official buses for two Chinese National Sessions for 12 consecutive years as well as for many international conferences or major events such as the Beijing Olympic Games, the Shanghai World Expo, the Asian Games of Canton , The Football World Cup in South Africa, the Singapore Youth Olympic Games, etc. 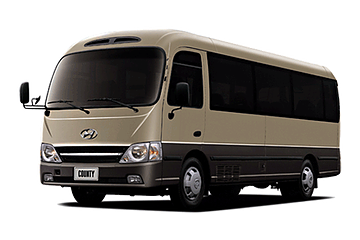 THE HYUNDAI COUNTY BUS: Its large size and capacity of 24 and 29 seats, plus driver make the County Bus the excellent and ultimate alternative for transporting corporate personnel, public institutions and school transportation. 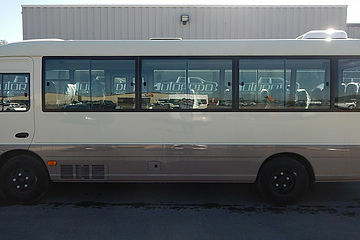 The Autobus County is one of the most powerful in its class: thanks to its 4L engine developing a power of 120 HP and a torque of 30/2000 kgm / rpm and capable of very fast acceleration with high torque.